Oceania Marine Coatings has wide-ranging experience of undertaking projects in a variety of places and situations from ‘in the water’ jobs through to painting inside dedicated paint sheds. It can advise clients how to most economically meet paint specification requirements in each situation. Projects undertaken for larger yachts and superyachts at Oceania Marine’s North and South Shipyards would be carried out by preference in paint sheds able to accommodate vessels under cover up to 50 metres LOA, thereby accessing climate control equipment and a superior painting environment which is not weather dependent. 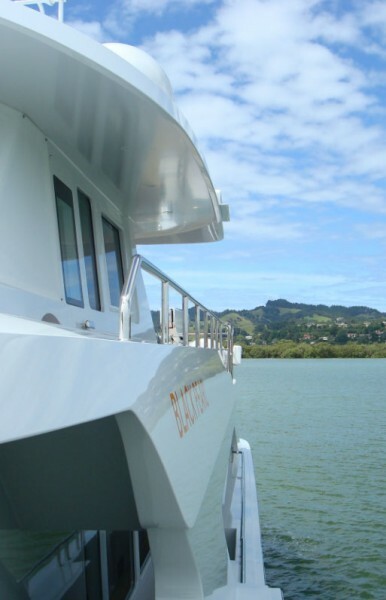 Projects undertaken for smaller yachts as approved applicator at Oceania Marine’s Port Whangarei Marine Centre, which is serviced by a 100T travel lift, can be completed outside on the extensive sealed hardstand or undercover in paint sheds as required.